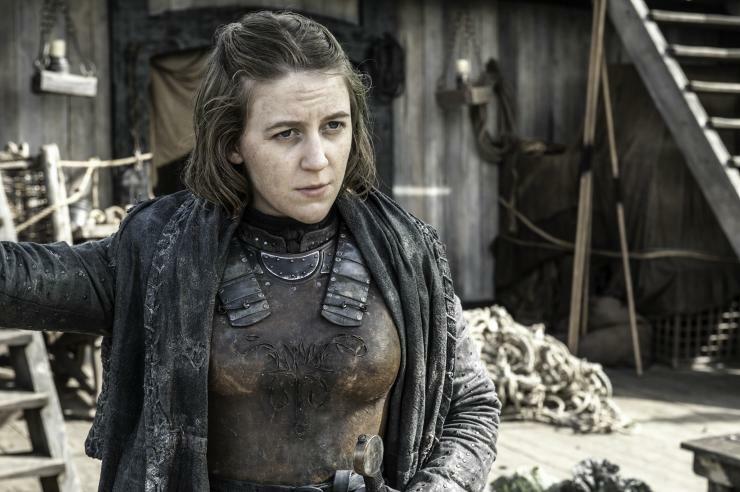 I can’t say I’m all that familiar with many British actors aside from the ones that made their way to Hollywood (Benedict Cumberbatch, Tom Hiddleston, Christian Bale), so it was a bit of an interesting surprise to know that Gemma Whelan, the actress who plays Yara Greyjoy on Game of Thrones, is a comedian as well. What’s even more surprisingly interesting is what she had to do during her audition for her Game of Thrones role. She explains it all in the video interview (linked in the image below), around the 3:55 mark. Remember that part when she gives her brother Theon (Alfie Allen) a ride to the castle upon his arrival? Yeah, it has something to do with that.